Cross Country has long been applied to an SUV-flavored version of a Volvo station wagon, while Inscription has been used of late to denote a high-end trim level. But Volvo will now be using those established names in a somewhat different manner. New for 2016 are the S60 Cross Country, which applies the designation’s traditional formula to a raised S60 sedan, and the S60 Inscription, which “expands” the use of that name to indicate a stretched S60 sedan. The S60 Cross Country applies SUV features to a sedan profile by virtue of a raised ride height, black fender flares, lower-body trim, and front and rear skid plates. The S60 Cross Country is a bold move, but not a brave one. Most of the mechanical and trim pieces likely came from the company’s parts bin, so it was merely a matter of applying those bits to the existing S60 sedan. But the S60 Inscription is another matter. In a way, it, too, is a parts-bin protégé, but the “parts” come from China; in fact, the whole car does. 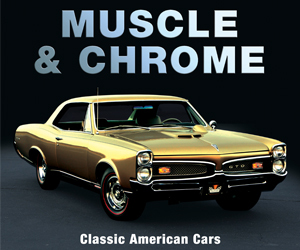 Many sedans in that market are built in long-wheelbase form, as they’re popular as chauffeur-driven vehicles. So bringing the Inscription stateside was mostly a matter of certification. But its real claim to fame is that it’s the first Chinese-built automobile to be sold in this country. This all happened because Volvo, which had previously been owned by Ford, was sold in 2010 to Geely, one of the major auto manufacturers in China. Geely infused a lot of money into the struggling Swedish manufacturer, and that has helped the company to not only survive, but bring out some long-overdue updates and redesigns, and soon, new models. The first of the “updates” appeared as Volvo’s new line of 2.0-liter four-cylinder engines, introduced for 2014. One version is turbocharged and produces 240 horsepower, while the other is turbocharged and supercharged to make 300 horsepower. Both come mated to a new 8-speed automatic to form what Volvo calls its Drive-E powertrains. The latter engine is the sole offering in the recently redesigned XC90—the make’s flagship SUV—which went on sale (to great acclaim) earlier this year. It, along with the Cross Country and Inscription, is among the 14 new or redesigned models Volvo says will arrive by 2018. 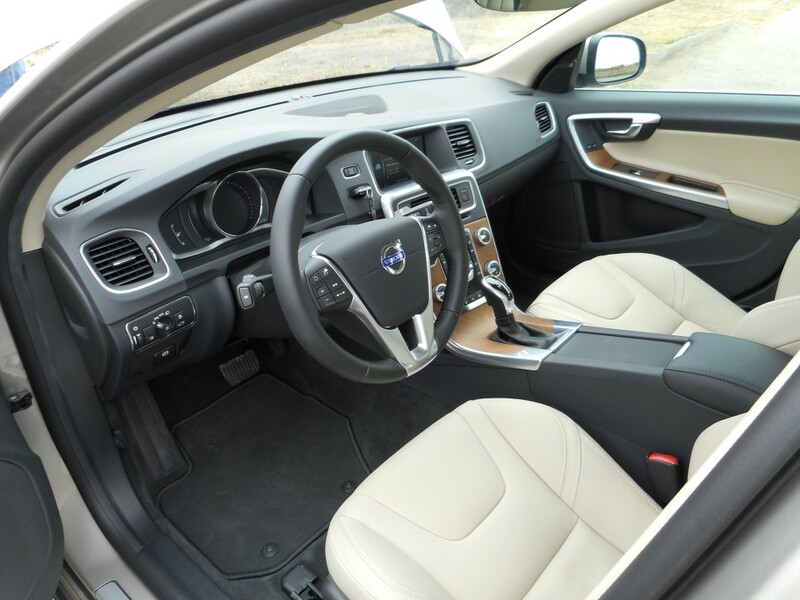 Whereas the S60 Cross Country went “up,” the S60 Inscription went “long.” More than three inches were added to the wheelbase with a corresponding increase in rear-seat legroom. One note: Although we consider the S60 to be a premium-midsize car, it really straddles the line between compact and midsize competitors in both size and price. Probably due to the latter, in particular, Volvo compares it mostly to premium compacts like the Audi A4, Lexus IS, BMW 3-Series, and Mercedes-Benz C-Class, whereas its “midsize” status pits it against cars like the Cadillac CTS, BMW 5-Series, Audi A6, and Mercedes E-Class. For the purposes of comparisons used in this report, we’re going to go with Volvo’s classification, as all the midsize models mentioned are, indeed, decidedly more expensive. Although the S60 Cross Country’s “raised sedan” formula is unusual, it’s not new. Subaru tested the waters in 1999 with the Sport Utility Sedan, which sprinkled the Outback wagon’s SUV flavoring on a Legacy sedan. (One could argue that Volvo’s V70 Cross Country, introduced for 1998, was likewise inspired by Subaru’s Outback wagon, which debuted for 1995.) Although Subaru dropped the slow-selling Sport Utility Sedan (later Outback Sedan) after 2007, Volvo apparently feels the time has come to try the concept again. Compared to the standard S60 sedan, the Cross Country has 2.5 inches more ground clearance (for a total of 7.9) and gains black fender flares, lower body moldings, and some other minor trim pieces, along with Hill Descent Control. It comes standard with all-wheel drive and is powered by a 250-horsepower 2.5-liter 5-cylinder engine mated to a 6-speed automatic transmission. Other standard features include 3D navigation, WiFi hotspot with built-in apps (such as Yelp and Pandora), power driver seat with memory, adaptive cruise control, and upgraded leather upholstery. On the safety side, it gets a rearview camera, rear obstacle detection, forward collision warning and mitigation, lane departure warning, and Volvo On Call, which provides roadside assistance along with remote starting and door unlock through your cell phone. Options include a $1550 Climate Package (heated front and rear seats, heated washer nozzles, heated steering wheel, heated windshield, interior air filter), a $925 Blind Spot Information System Package (blind-spot alert, cross-traffic alert, front park assist), and some special trim pieces. The S60 Cross Country starts at $44,440 (including destination) and should be on sale by the time you read this. The Inscription’s claim to fame is its stretch-out space in back, something that can’t be said of other S60 models. All of the Inscription’s stretch comes aft of the center pillar. Wheelbase grows by 3.2 inches, which accounts for most of the 3.4-inch gain in rear-seat legroom that now measures 36.9 inches. This is noteworthy, because while the standard S60 has just about the least amount of rear legroom in its competitive set (only the Lexus IS is tighter), the S60 Inscription has the most—by a good margin. Closest are the Audi A4 and Mercedes-Benz C-Class with 35.2 inches. And that 1.7-inch difference is a fairly sizable amount. It translates into ample legroom for anyone who will fit under the headliner (which means those up to 6’2 or so) even if the seat ahead is all the way back. Inscription can be had in front-wheel-drive or all-wheel-drive form in both Premium and Platinum trim levels. Front-drive models carry the new 240-horsepower 2.0-liter turbocharged four mated to an 8-speed automatic transmission, while all-wheel-drive versions get the same 250-horsepower turbo five with 6-speed automatic found in the Cross Country. Both powertrains provide spirited acceleration, though flooring the throttle from a stop results in a slightly leisurely launch followed quickly by a strong rush of power. Furthermore, both transmissions kick down with lightning speed for more passing punch. Volvo says AWD models can accelerate from 0-60 in 6.4 seconds, while the lighter FWD versions run the sprint in 6.0 seconds. While there’s little difference in performance between the two powertrains, there’s a big difference in fuel economy. All-wheel-drive models with the “old” 2.5-liter turbo five and 6-speed automatic earned a 20 city/29 highway rating from the EPA, while front-drive models with the 2.0-liter four/8-speed Drive-E powertrain (which includes stop/start) received a 25/37 rating. In front-drive form, the Inscription starts at $39,640 (including destination), with the all-wheel drive version coming in at $41,140. That includes much the same equipment as is on the Cross Country, but adds an interior air filter, special interior wood trim and accent lighting, rear side-window blinds, and a power rear-window blind. Other features offered either on the Platinum trim level or as options mostly mimic those available on the Cross Country. Rich materials and available two-tone color schemes give the Inscription’s interior an upscale look. In other ways, these two new models are much the same as other S60s. Both exhibit a firm but comfortable ride (Cross Country’s seemed a bit smoother) combined with adept handling. Front-seat room should be sufficient for all but the tallest folks. Visibility is great to the front corners, good to the sides, and fair to the rear corners. Interior materials are mostly impressive for the price, but cabin storage is a bit on the skimpy side. Trunk space differed between the Cross Country and the Inscription. The Cross Country came with a full-size spare tire that forced a higher load floor. While it was level with the trunk opening, the floor was 2 inches above the level of the folded rear seat backs. Meanwhile, the Inscription had just an inflator kit that allowed for a lower floor—and more overall room. Folding the rear seat backs resulted in about a 3-inch step that was bridged by a ramp to aid in sliding long items forward. The S60 primarily uses buttons and knobs for its control interface, bucking the current trend toward touchscreens and joysticks. Where the S60—of any style—stands apart from most competitors is in its control layout. 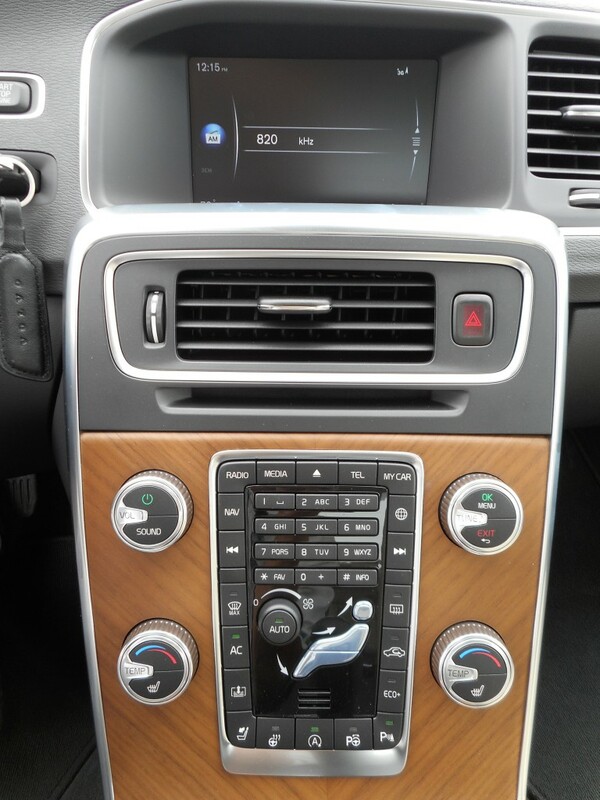 Traditional buttons and knobs remain the order of the day for audio, climate, navigation, and phone functions, though they’re augmented by a “non-touch” dashboard screen. (Note that the new XC90 moved to a huge touchscreen for these functions, which probably indicates where the next generation of these cars is heading.) Some might find the numerous buttons confusing or “old fashioned,” but we find them refreshingly simple to use. While the S60 has largely been overlooked in the premium-compact segment, it really shouldn’t be. 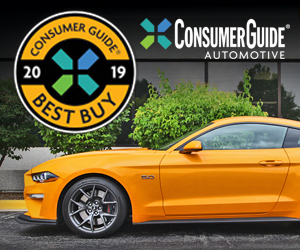 It offers—in any guise—a fine balance of ride and handling, power and fuel economy, and features for the price that makes it a strong value in this class, with powertrain performance and control clarity being its standout elements. (Also its wagon bodystyle, which goes under the V60 designation.) And these two new versions add a couple of other highlights—though not both together. The Cross Country’s increased ground clearance not only makes it more capable in deep snow or on rutted trails, but also gives it a higher seat height that some might find provides easier ingress and egress and better visibility in traffic. On the other side is the Inscription, which provides midsize rear-seat room at a compact’s price. Both are elements that haven’t been seen before in the S60 range—or the premium-compact class, for that matter—thus giving these old names a new twist. Written by: Rick Cotta on September 8, 2015.on March 4, 2019.